We created this page to help take the confusion out of deciding who's my fishing guide, by using simple FAQ. Of coarse, any and all questions can be answered by dialing our toll FREE 888-629-2277. 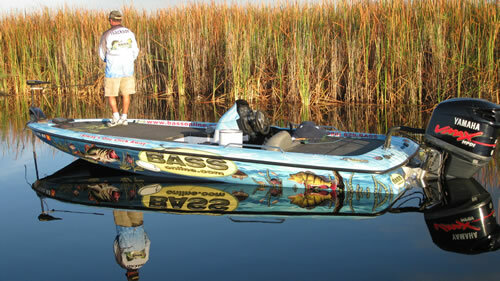 You mite be asking yourself how do I choose the right fishing guide? Well for starters, we pick our guides by there experience on a given body of water(s). Guides cannot be the master of all lakes, to more effectively provide you with a great fishing trip we like to suggest our guides that specialize in that area or lake. So we can make a suggestion for you, are you can pick one from our fishing guides page bio. I found the guide I would like to go with, how do I go about choosing him? All of our guides can be requested at any time, although in an effort to provide great service and build a support system for our guides and return customers. Any customer fishing previously with a given guide has the opportunity to reserve him/her over someone that has not fished with them. As a new customer, a request will provide with a higher level of reservation then someone that just calls in last minute. We do try to accommodate everyone, some of our guides have been here for 10+ years and have established large followings, so make those reservations early. Which fishing guide should I choose for the lake? Most all of the guides specialize in a certain are of Florida, by call us at 888-629-2277 or mail we would be happy to make suggestions. Are all of the BASSonline fishing guides equal? Yes, in the sense that we have the largest network of fishing guides in the state. What that means to you is that we are cover and fishing more lakes then anyone else. This information is available to all of our guides, whether starting today or been with us for 10 years. The fact is all bass fishing guides are different, there personality and fishing techniques. Some like fly fishing while others don't, some like live-bait while others are artificial only. Don't worry our office staff will help you choose the fishing guide right for you. Can I talk to the fishing guide before reserving him? YES, the office staff is here only to help answer your questions and provide a service for the fishing guides while they are out on the water. At anytime the office staff can provide you with the cell number of your fishing guide. We suggest you talk with the office staff on trip details and contact your guide after hours for techniques and equipment questions. What makes the BASSonline fishing guide better then the others? We really don't claim to be better, we just feel we do a better job from A to Z. More guides, more locations, more information, leads to more fish for you! We are on "your" fishing trip, we can target many different species. Although the most common freshwater fishing in the world is the largemouth bass we also fish for bluegill, snakehead and peacock bass among others.